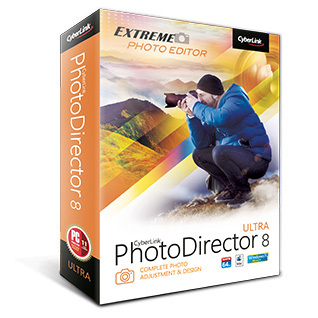 PhotoDirector 8 Essential - download in one click. Virus free. 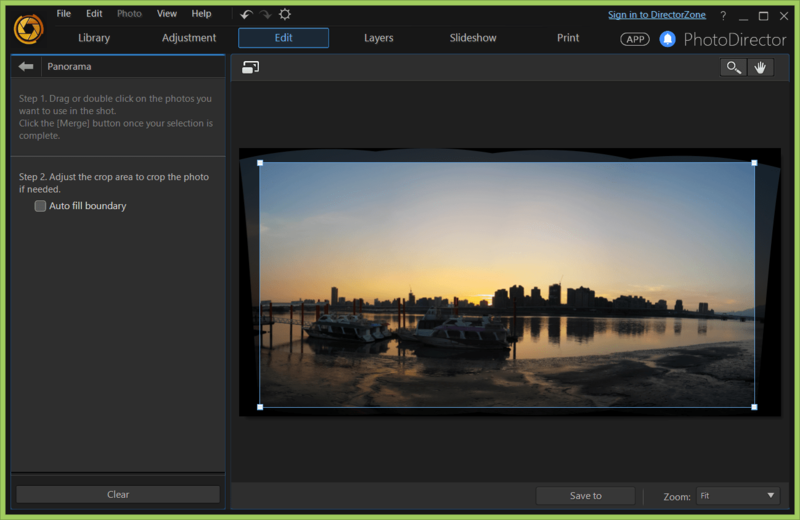 Download the latest version of PhotoDirector 8 Essential with just one click, without registration. It comes with a safe official web installer for Windows. PhotoDirector 8 is a photo editor developed by CyberLink with both beginners and professionals in mind. The application interface is friendly and easy to master, however, the editor provides all needed tools and is quite powerful. 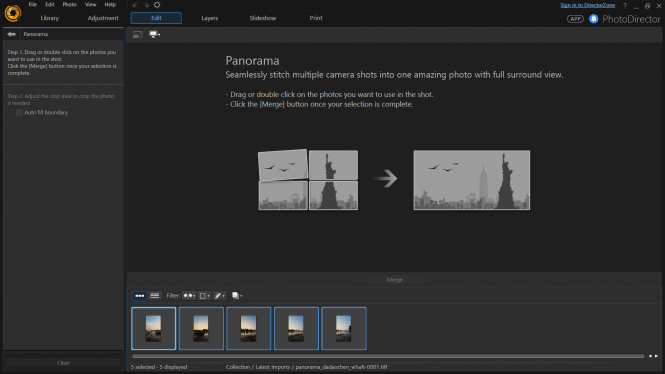 The new version has multiple-exposure effects added, as well as more options for working with layers and a tool to convert video to photo. With PhotoDirector you can edit your photos on an impressing quality level, as it provides face-beautification tools, color and brightness correction, various photo effects (including blur, burn, gradients), and drawing tools. There are even tools to slim one's body in the picture, remove excessive objects from the photo, add tags. The app also removes noise from photos, and does so quickly, without much fumbling with a set of sliders. All PhotoDirector features make it quite a competitor of major photo editors on the market. It's powerful enough to satisfy all your needs unless you're a high-level photography professional, and at the same time, it won't cost you a fortune. However, there are still areas where CyberLink's PhotoDirector can't compete with Photoshop or Lightroom. It doesn't have that many lens-profile corrections, it doesn;t provide geotagging options, and there is no support for tethered shooting and correcting chromatic aberration. And if you really need those in your work or hobby, PhotoDirector might not be a great choice after all. Other than that it provides a great and reliable set of tools for an adequate price, so check out this free PhotoDirector 8 download and see for yourself if it works for you!